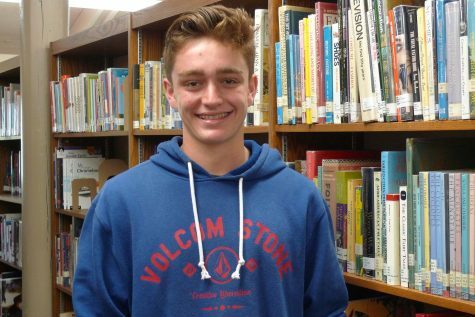 Jack Almeida is currently a junior at Seabury Hall. He was born on Maui on January 7, 2000. Almeida attended St. Anthony for preschool and grade school up until the fourth grade. In fourth grade, he moved to Kihei Charter and found out that home school was not the right fit for him because he preferred to be in a classroom with his peers. After a semester at Kihei Charter, he went to Wailuku Elementary, Iao School, and then ended up back at St. Anthony because his mom thought it was a better fit for him academically. He spent his freshman and sophomore years at St. Anthony. After attending this plethora of schools, Almeida made the jump to Seabury for more opportunities in school and athletics. Once Almeida got to Seabury, he tried to take advantage of as many opportunities as possible, becoming the president of his class and football team captain and quarterback. Outside of school, Almeida is a Boy Scout with Troop 49 of Wailuku, and he is a facilitator at the Rotary Youth Leadership Awards camp. Outside of school and leadership activities, Almeida enjoys baseball, basketball, hanging out with friends, and spending time with his family.